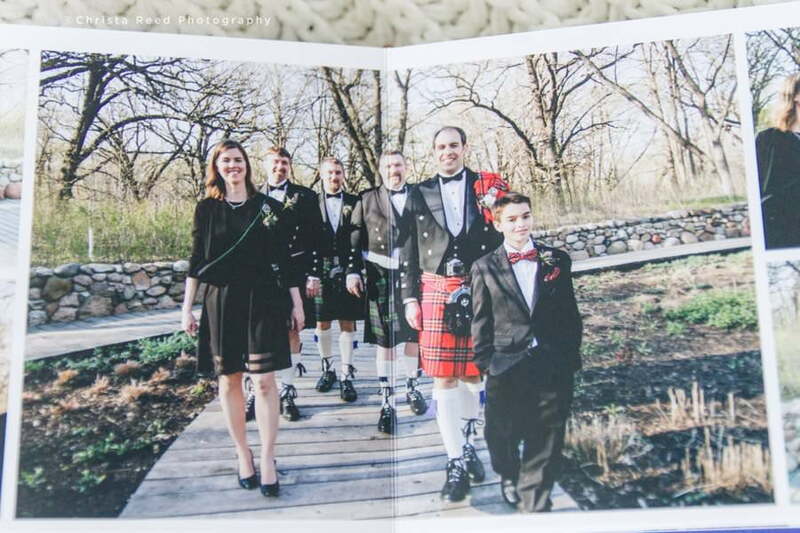 Ann and Drew celebrated their one year wedding anniversary on Sunday. I thought it would be fun to look back on their album and full size parent copy. 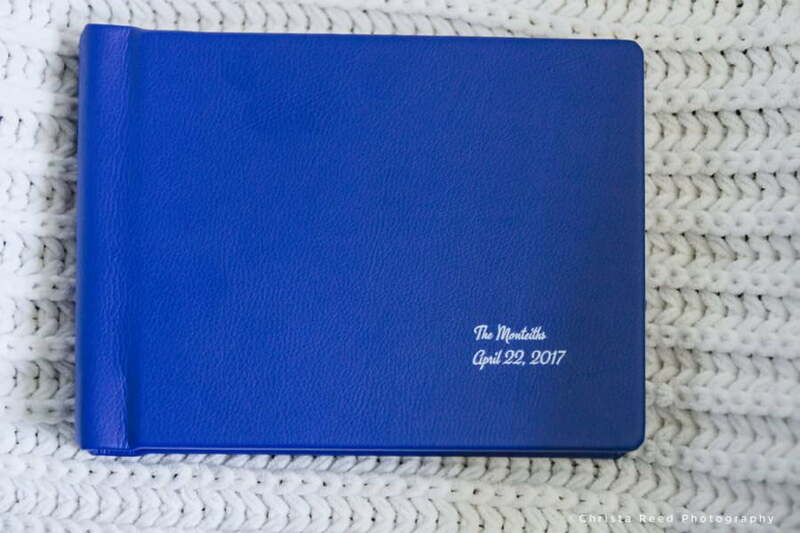 The modern red and blue leather are limited run colors and as of December are retired. I love the clean and modern feel to these two albums. I aim for albums to be timeless, and stand out on the shelf as a keep sake work of art. The blue leather is a modern and beautiful contrast. 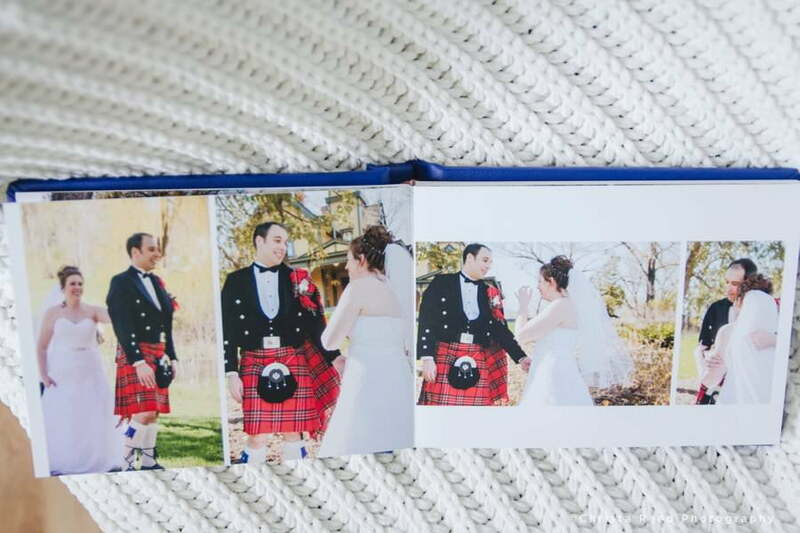 To make sure you get the best color selection it’s important to order your album as soon as possible after your wedding, because my album printers will adjust their cover color selections based on the season and popularity of certain colors. 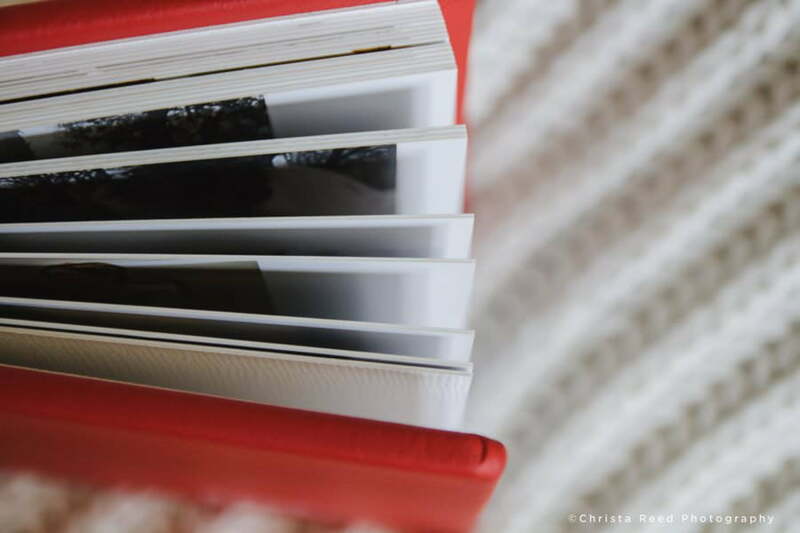 Albums lay flat for a beautiful presentation of full page pictures. When I design albums I make use of all the page space, and arrange pictures so they are as large as possible to fill the page. Albums have thick pages reinforced by mat board. The page seam is barely there to blend in and give me the freedom to design a layout across the entire page. 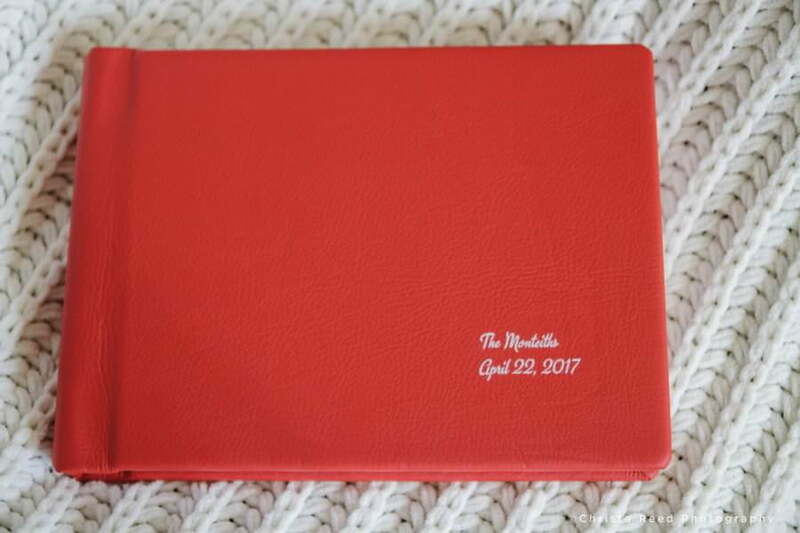 Name and wedding date in the lower right hand corner is an elegant choice for leather covers. 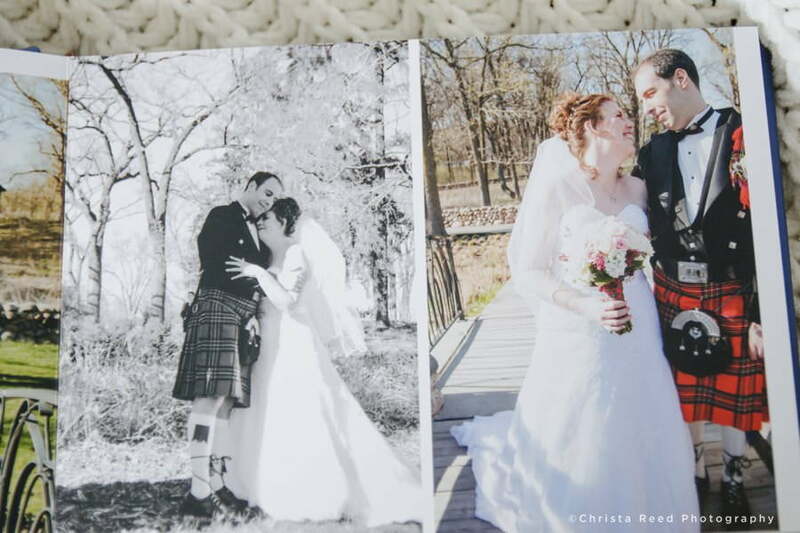 I’m a Minnesota Wedding Photographer located in Belle Plaine, MN. I travel through out the state for weddings. My wedding packages include credits towards albums. 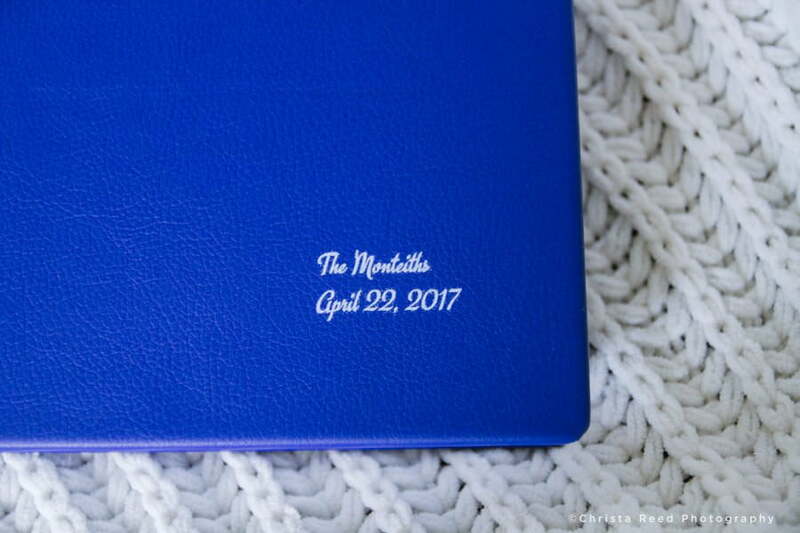 Leather wedding albums are available, as well as linen and other fine art cover material options. If you like what you see send me an email and we can talk about your wedding.